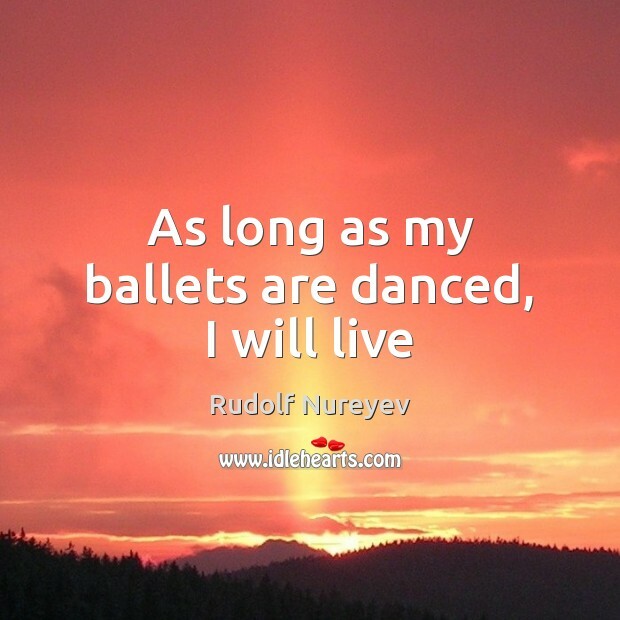 Quotations about Ballets. Quotes to stimulate mind and drive action! Use the words and quote images to feed your brain inspiring things daily! I like new ballets because they're totally new. 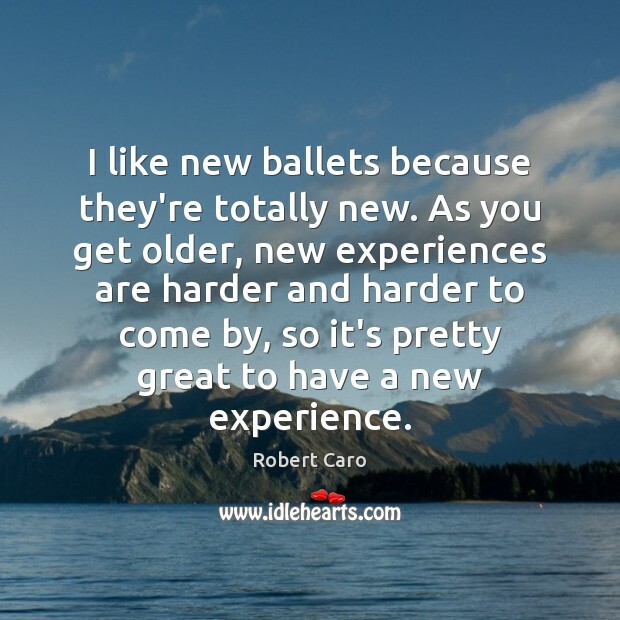 As you get older, new experiences are harder and harder to come by, so it's pretty great to have a new experience. Mozart, Pascal, Boolean algebra, Shakespeare, parliamentary government, baroque churches, Newton, the emancipation of women, Kant, Balanchine ballets, et al. don’t redeem what this particular civilization has wrought upon the world. 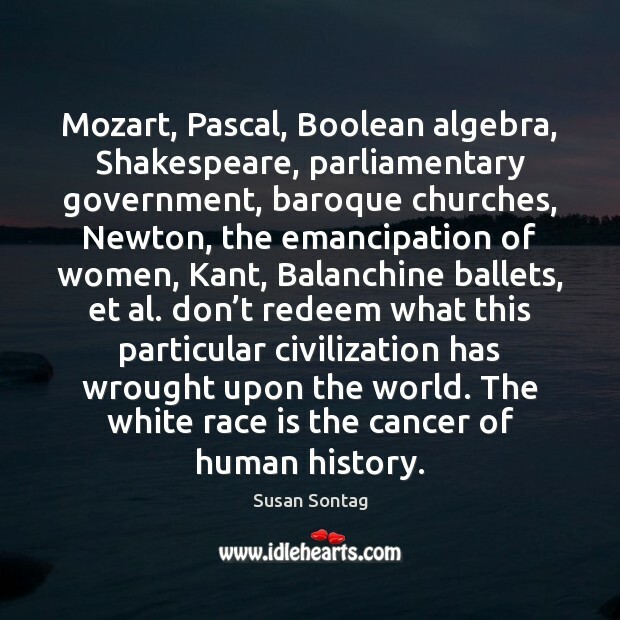 The white race is the cancer of human history. 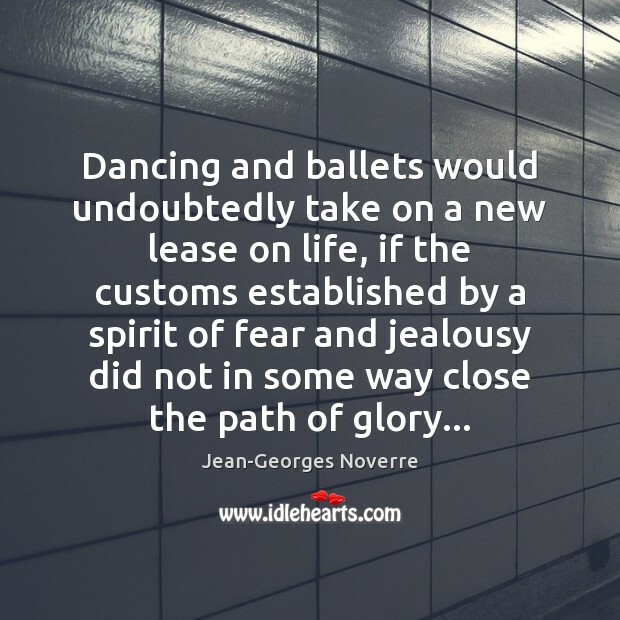 Dance in the most perishable of the arts. 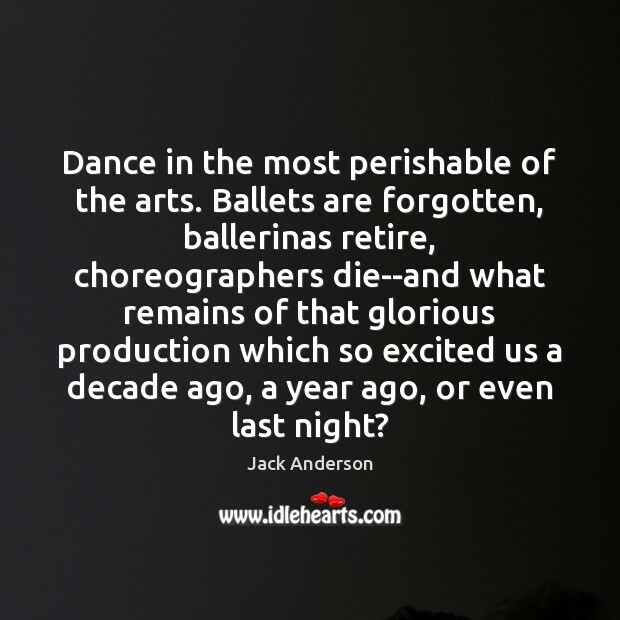 Ballets are forgotten, ballerinas retire, choreographers die--and what remains of that glorious production which so excited us a decade ago, a year ago, or even last night? It is only comparatively primitive machinery that affords a stimulus, and there is already a faint period touch about Pacific 231 and Le Pas d'Acier. 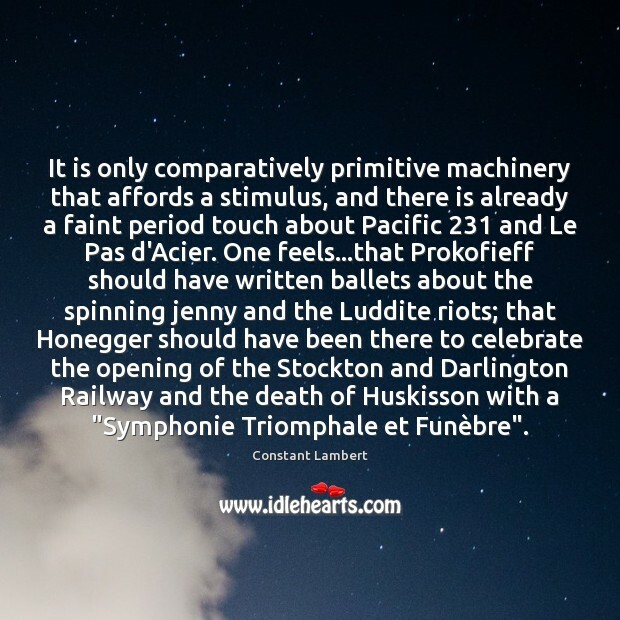 One feels...that Prokofieff should have written ballets about the spinning jenny and the Luddite riots; that Honegger should have been there to celebrate the opening of the Stockton and Darlington Railway and the death of Huskisson with a "Symphonie Triomphale et Funèbre". 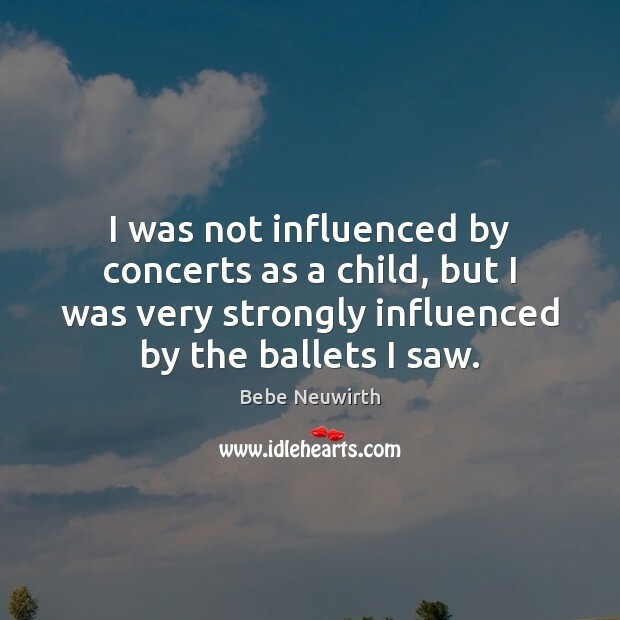 I was not influenced by concerts as a child, but I was very strongly influenced by the ballets I saw. 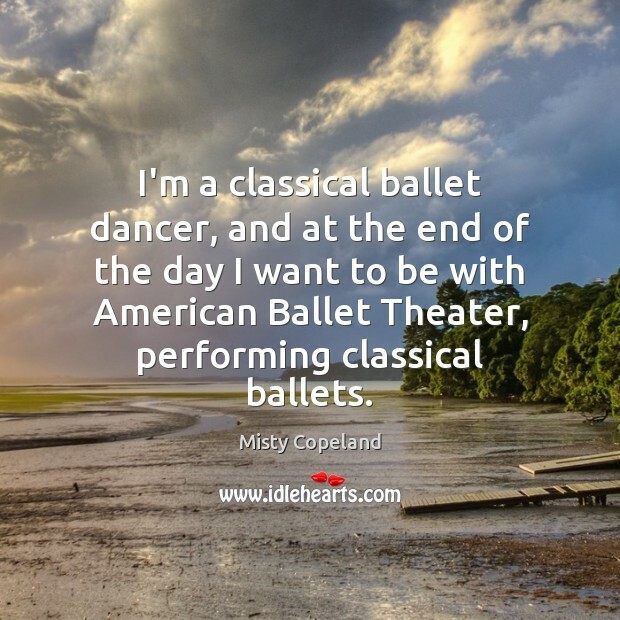 I'm a classical ballet dancer, and at the end of the day I want to be with American Ballet Theater, performing classical ballets. 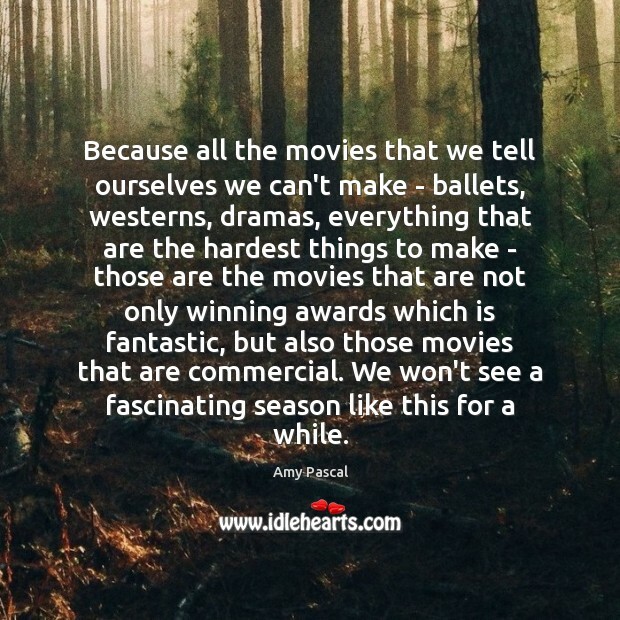 Because all the movies that we tell ourselves we can't make - ballets, westerns, dramas, everything that are the hardest things to make - those are the movies that are not only winning awards which is fantastic, but also those movies that are commercial. We won't see a fascinating season like this for a while. 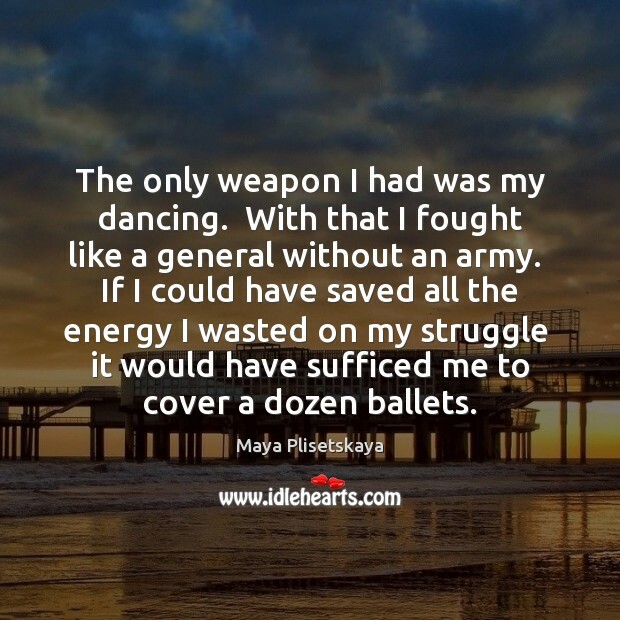 The only weapon I had was my dancing. With that I fought like a general without an army. If I could have saved all the energy I wasted on my struggle it would have sufficed me to cover a dozen ballets. 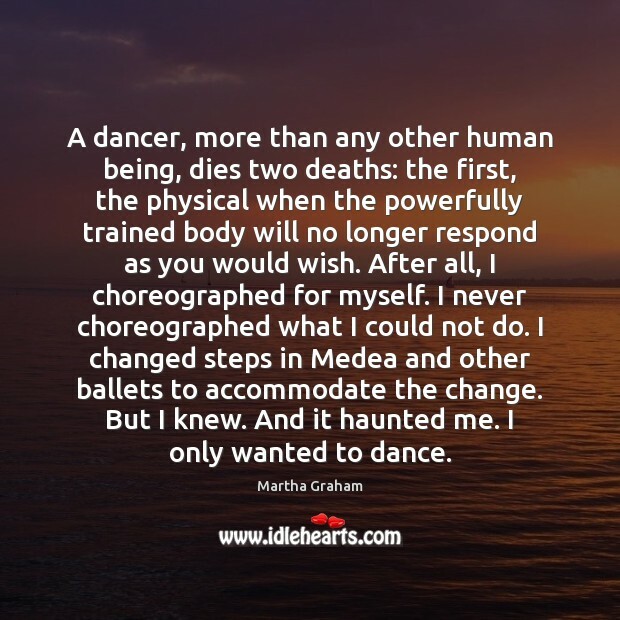 A dancer, more than any other human being, dies two deaths: the first, the physical when the powerfully trained body will no longer respond as you would wish. After all, I choreographed for myself. 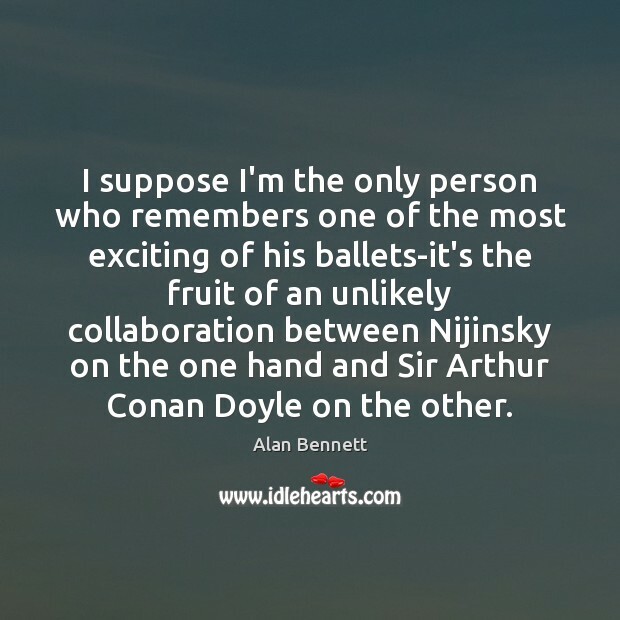 I never choreographed what I could not do. I changed steps in Medea and other ballets to accommodate the change. But I knew. And it haunted me. I only wanted to dance. 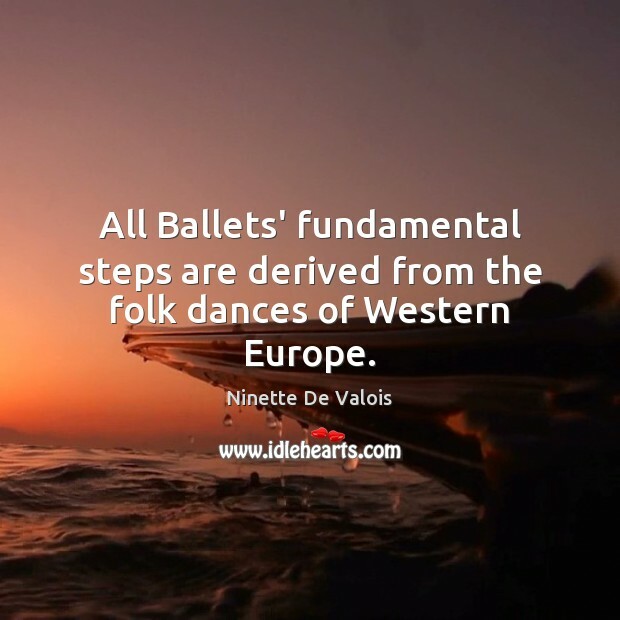 All Ballets' fundamental steps are derived from the folk dances of Western Europe. 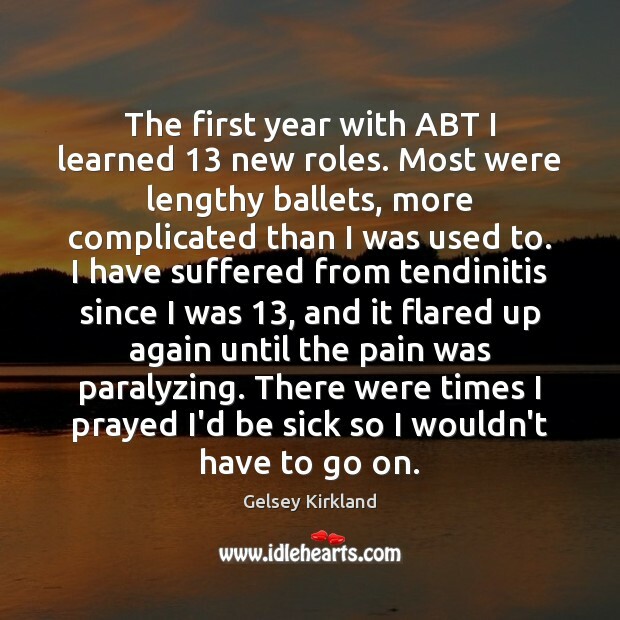 The first year with ABT I learned 13 new roles. 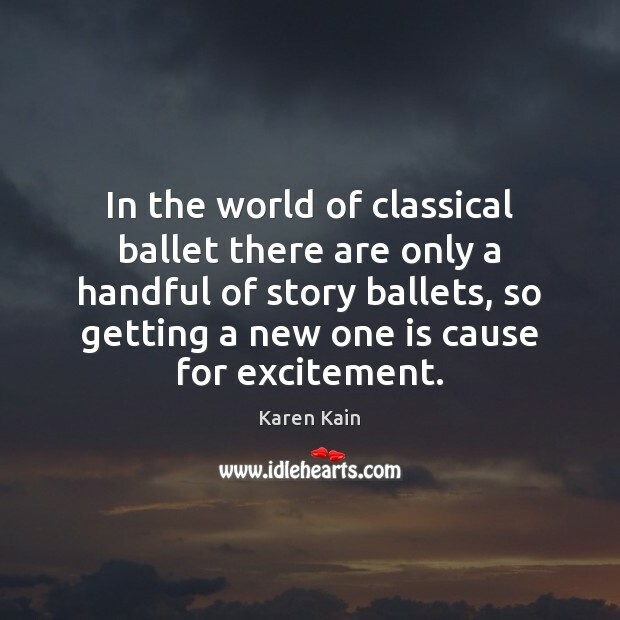 Most were lengthy ballets, more complicated than I was used to. I have suffered from tendinitis since I was 13, and it flared up again until the pain was paralyzing. There were times I prayed I'd be sick so I wouldn't have to go on. The best gift I was ever given was the arts. My mum gave me those on a silver platter. 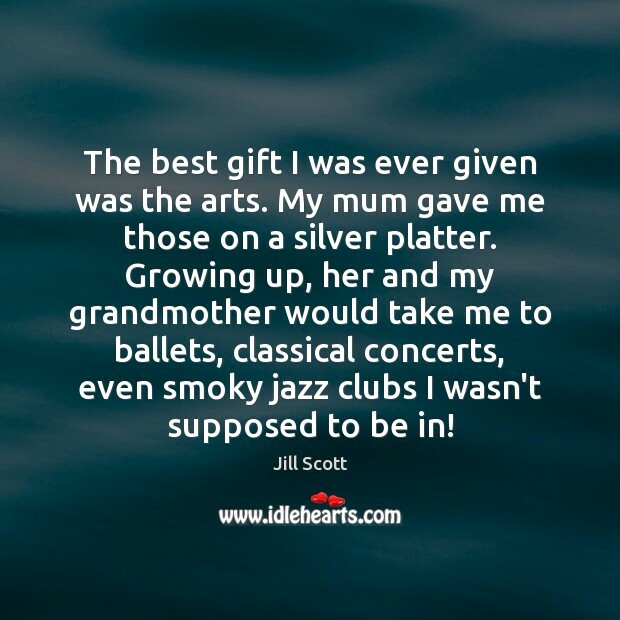 Growing up, her and my grandmother would take me to ballets, classical concerts, even smoky jazz clubs I wasn't supposed to be in!